Not only did Reilly Smith lead expansion Vegas in points in that team’s Stanley Cup final run, his 17 assists and 22 points were both Miami alumni playoff records. 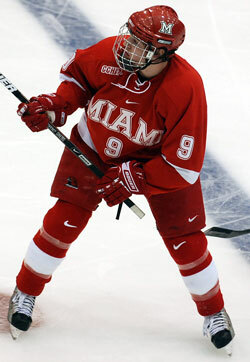 Reilly Smith (photo by Cathy Lachmann/BoB). In the final series alone, he posted three goals and three helpers, recording multiple points twice during the Golden Knights’ historic run vs. eventual champion Washington. 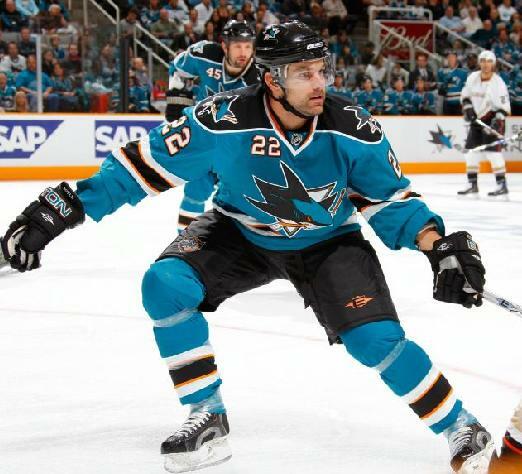 Dan Boyle held the previous RedHawks record with 16 points in 2010-11 during San Jose’s postseason run. Smith is second all-time to Boyle in Stanley Cup playoff points with 35. Boyle notched 81 during his 17-season NHL career. During the regular season, Smith blew away the field, leading 11 former Miamians by posting 60 points on 22 goals and 38 assists and tallying a plus-31 rating. 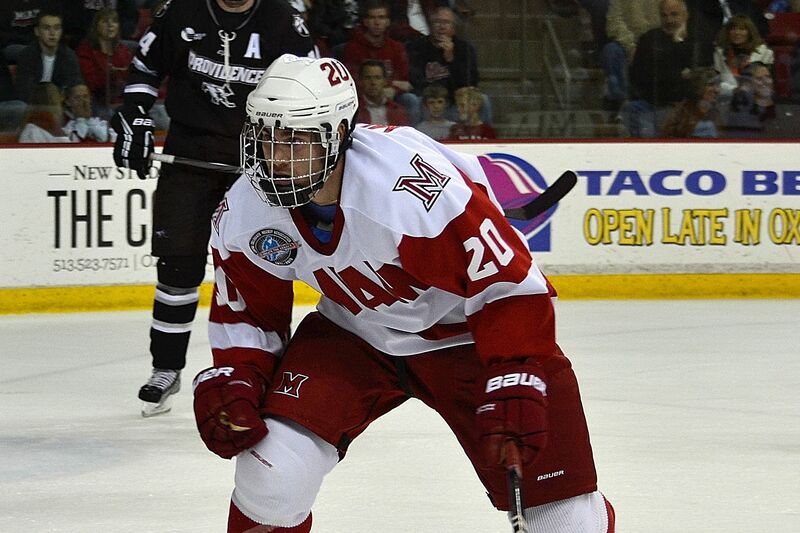 NHL: Smith and defenseman Andy Greene both eclipsed the 200-point mark in the NHL. Greene ended the season with three goals and 10 assists for the New Jersey Devils. Smith is now fourth all-time on the Miami leaderboard with 247 points, and Greene ranks fifth with 210. – It was forward Blake Coleman’s first full NHL season, and he thrived, rolling up 13 goals and 12 assists in 75 games as Greene’s teammate on the Devils. He also scored twice in five postseason games. Jack Roslovic (photo by Cathy Lachmann). After dressing just once for Winnipeg in 2016-17, Jack Roslovic played in 31 games for the Jets this season, going 5-9-14, and he also logged 10 playoff games in which he picked up three helpers. Roslovic forced his way into the NHL with 35 points in 32 AHL games. Louie Belpedio made the most of his first and only NHL appearance. He dished for two assists in his debut and finished the game plus-1. Vincent LoVerde (photo by Cathy Lachmann/BoB). AHL: Defenseman Vincent LoVerde won his second Calder Cup championship, and he tallied a pair of assists in Game 7 of the final to help Toronto secure that title. LoVerde also skated that trophy with Manchester in 2014-15. He has played in 364 AHL games in six seasons, posting 141 points, and has been on the ice for 65 more postseason contests. Providence’s Austin Czarnik finished third in the league in points with 69 as he eclipsed both the 100- and 150-point marks for his career in this league. Czarnik was also fourth in the AHL in power play goals (13) despite playing just 64 games because of stints with NHL Boston. 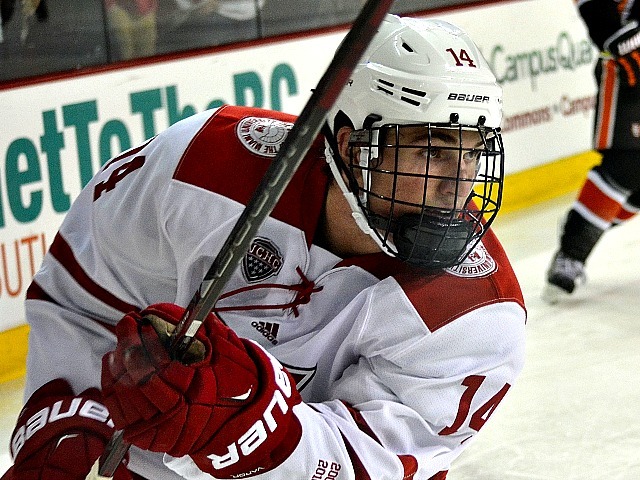 Czarnik was signed by Calgary on Sunday and is expected to compete for a job with the Flames this fall. 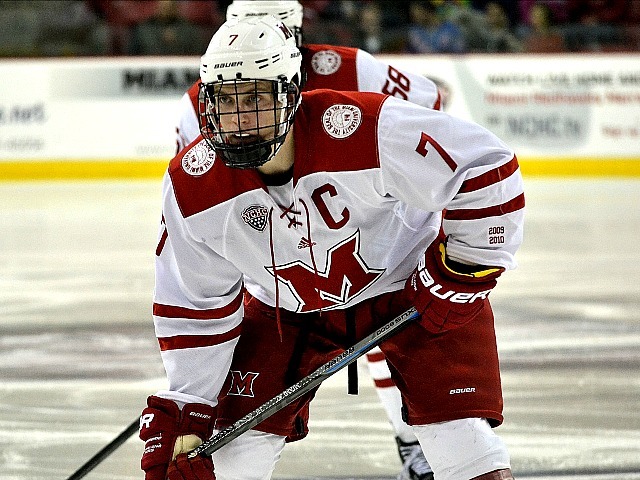 Texas’ Curtis McKenzie played against LoVerde’s Toronto team in the championship, and despite falling in the finals, he was the AHL’s leader in postseason goals (11) and power play goals (5). McKenzie also picked up nine assists for 20 playoff points, ranking second in the postseason. 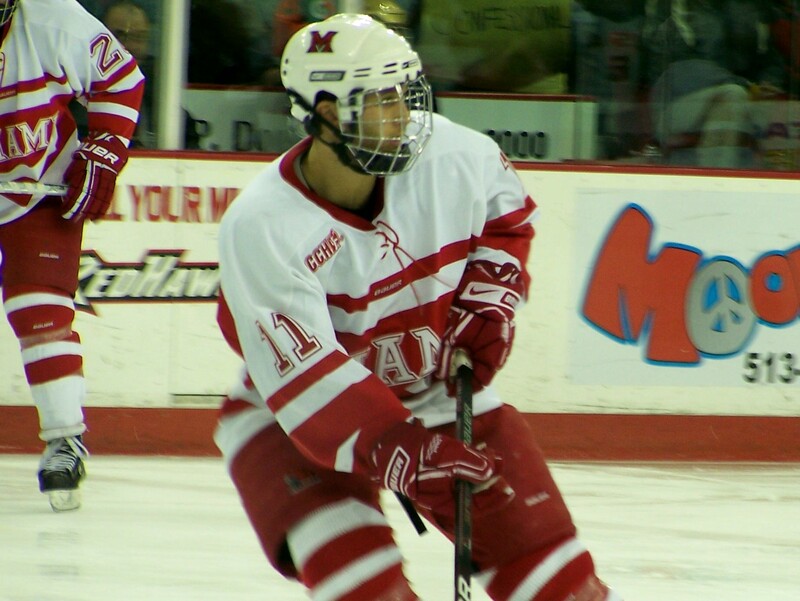 He will rejoin his former Oxford roommate Smith in Vegas, as he was signed by the Golden Knights last week. Carter Camper (photo by Cathy Lachmann/BoB). Last season was Carter Camper’s eighth in the AHL, but it was first time he eclipsed 60 points. Camper went 16-45-61 for Cleveland and Tucson, and he added nine more points in the postseason. 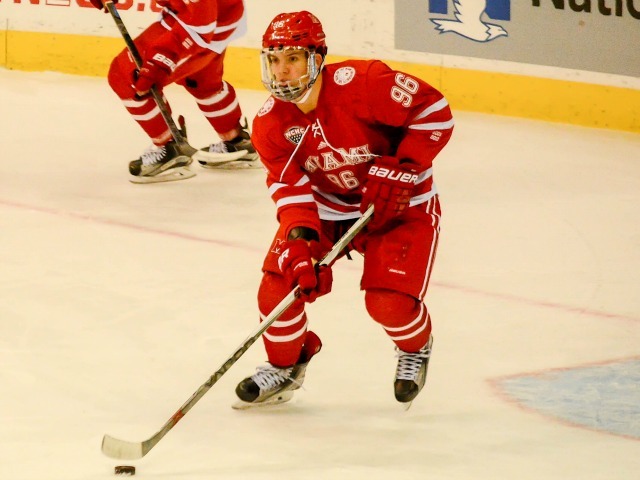 Camper, a Cleveland-area native, was dealt to Grand Rapids last week, and when he hits the ice this fall that will be the eighth AHL team for which he will have dressed. Camper has played in 443 AHL games, scoring 87 times and adding 243 assists for 330 points plus an 18-27-45 line in the playoffs. ECHL: He had never scored more than 14 goals in any of his previous six pro seasons, but Justin Vaive netted 32 with Cincinnati in 2017-18 at age 29, and he added five more in five playoff games with the Cyclones. Between the regular and postseasons, Vaive found the net 37 times in 53 games at this level. 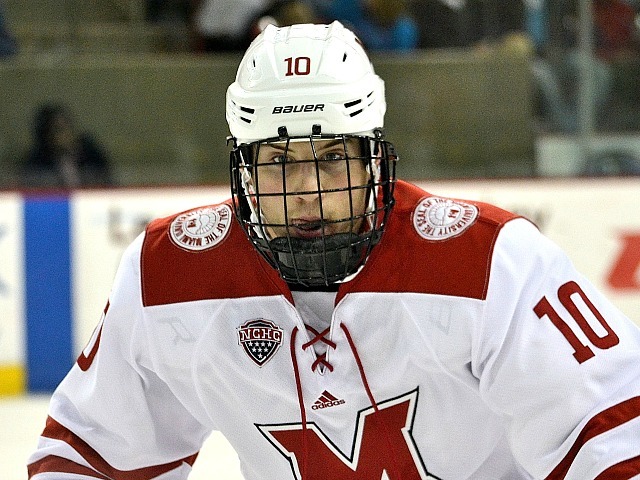 After a nightmarish end to his Miami hockeycareer, Jimmy Mullin finally had the chance to prove himself in the pros. And he thrived in Kalamazoo. Mullin went 21-24-45 in 68 games after a major injury ultimately cost him nearly two seasons. 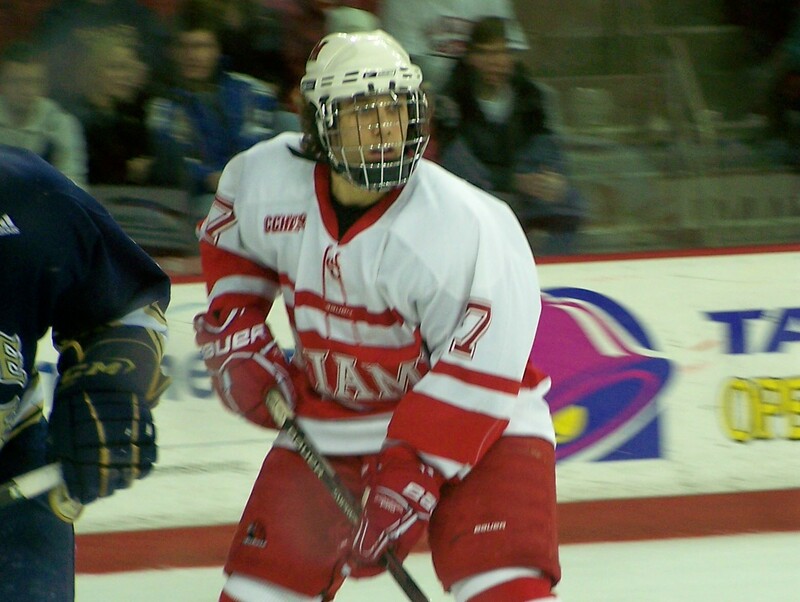 Speaking of feel-good stories, defensive defenseman Taylor Richart scored 17 goals and assisted on 24 more for 41 points with Utah. At 5-feet-9, he earned his inaugural call-up to the AHL and went 1-2-3 in two games for San Antonio. 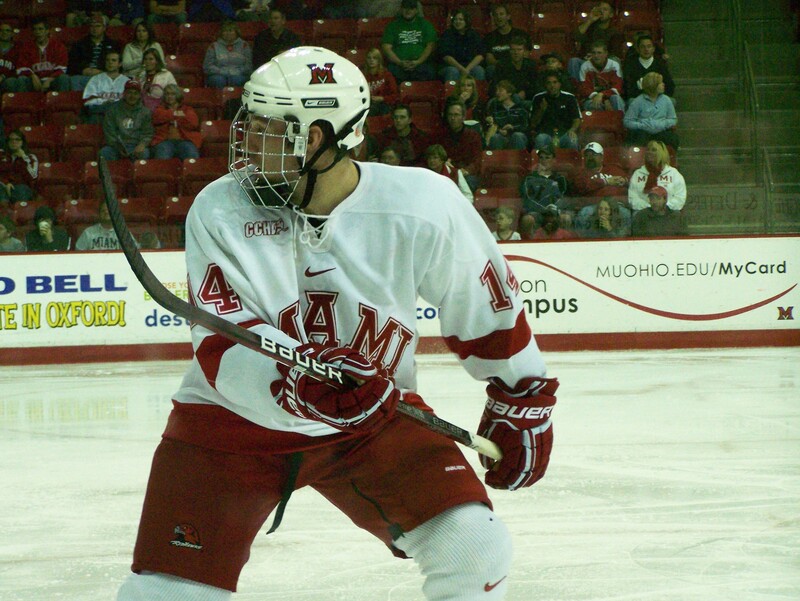 Alex Wideman led all former Miamians with 48 ECHL points. With a line of 16-32-48 in 2017-18, he has 103 regular season points the past two seasons. SPHL: Mississippi fifth-year pro Devin Mantha set a career high in points with 58. 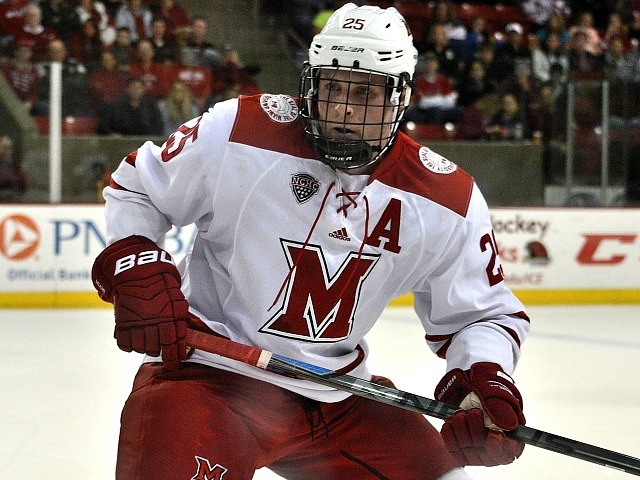 Mantha scored 22 times and earned 36 assists in 56 games, and he went 1-2-3 in three playoff games. Europe: Andy Miele won the Le Mat Trophy this spring, the Swedish Hockey League’s version of the Stanley Cup, as his Vaxjo team swept Skelleftea in the final. Miele picked up an assist in the clinching game, a 5-0 win. He finished 1-8-9 in 13 postseason games. Matt Tomassoni also won a championship, as he was a member of EBEL’s Bolzano Foxes team that won that league’s title in April. Tomassoni picked up an assist and was plus-2 in Game 7 the 3-2 finale of Bolzano’s championship series. 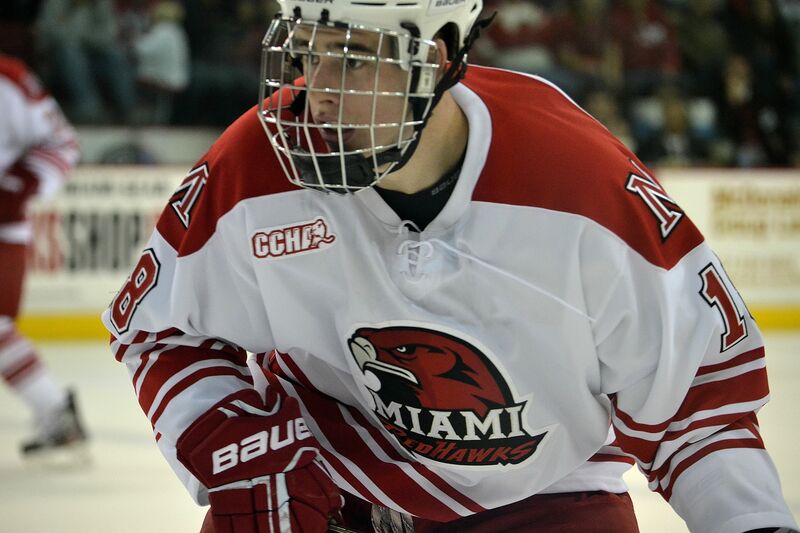 It wasn’t a pretty wrister that we saw time after time at Miami, but rather, former RedHawk captain Carter Camper went to the hard area of the ice and capitalized on a rebound while fighting off an Ottawa defenseman to net his first career goal in just his second NHL game, a 5-3 Boston winner. Camper was the Bruins’ best faceoff man in his first outing, a 4-2 win over the Blues, and got his first goal in last night’s win over the Senators despite going 0-for-4 on draws.